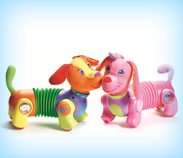 We believe in value-added, development-enriching playtime. 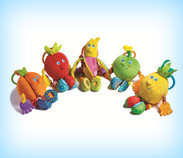 All of our products were created in order to provide you and your baby with stimulating, enriching fun. 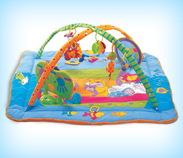 Browse our rich catalogue and look for the products that best suit your baby and you. 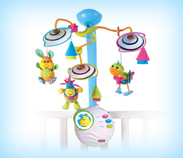 This uniquely-designed musical mobile offers babies a selection of 18 different tunes in 6 separate categories. Babies, and parents too, will certainly enjoy the variety. 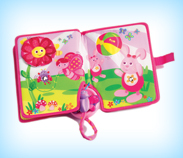 Once baby is on-the-go, the mobile can be converted into a fun music box that toddlers will love carrying around. 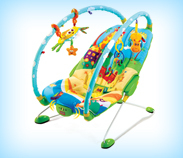 The Gymini® Move & Play is the first activity gym to feature a sliding arch connector, which brings the toys within reach of your baby. 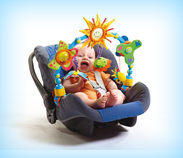 It's more versatile, more comfortable and better adjusted to developmental needs. 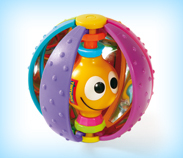 On Amazon's Holiday Toy List 2011 and Babble's Best Baby Toys Gift Guide 2011!